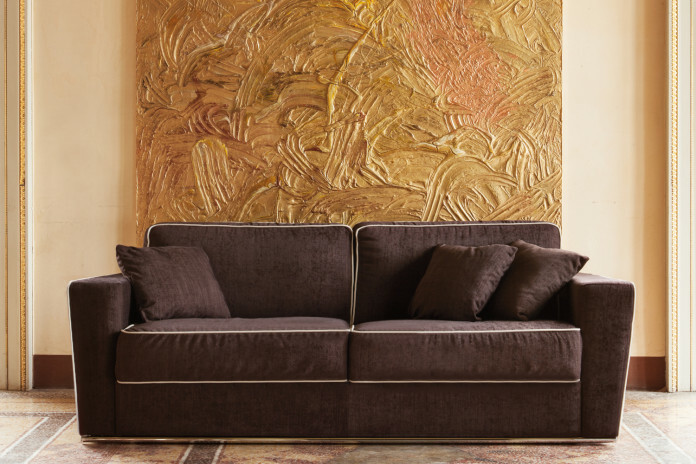 Retrohs is a made in Italy sofa with matching or contrasting coloured hems. Available in fabric, leather and eco-leather, it can be entirely disassembled. Retrohs is a sofa with coloured hems that can be completely disassembled and carried with ease. Its elegant and soft lines are characterised by slightly flared armrests that enhance the fabric, leather or eco-leather cover available in several colours. Its look is made even more refined by the visible stitching of seat and sofa cushions. These pipings can be chosen in a colour matching or contrasting the sofa cover, enhancing in a stronger or lighter way the single elements of the sofa. Another detail worthy of attention are the chromed metal rods that can be positioned on the front and back of the sofa. 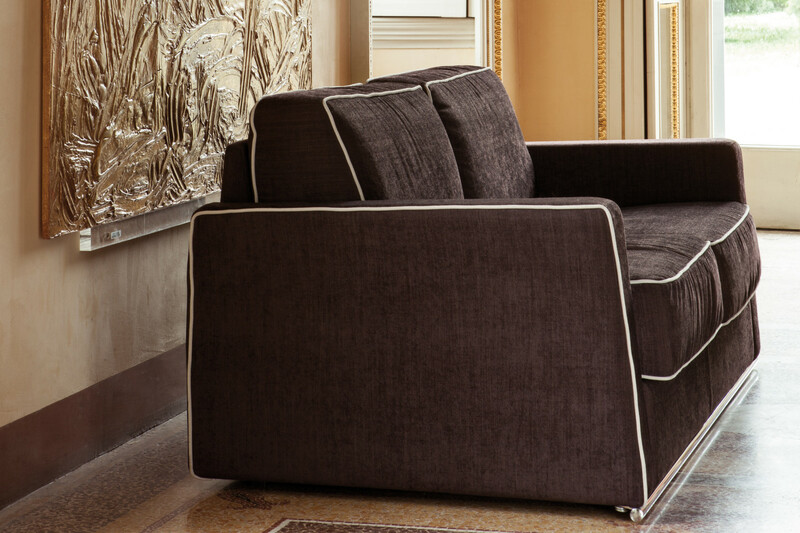 Retrohs is designed for all modern and classic sitting rooms, for a refined style or a more casual one. Retrohs is available in fabric, leather and eco-leather in all the colours displayed in the samples page. The cover is removable. The contrasting pipings colour can be chosen among the ones belonging to the same cover category of the sofa. Retrohs sofa can be equipped with structural black plastic feet, or a chromed metal rod on the front that can be completed with another one on the back. Frame: backrest in high resistance furniture tube, oven coated with epoxy powders. Armrests in fir wood, particle wood and poplar plywood. Headboard in for wood and particle wood. Non-bearing front panel in particle wood.